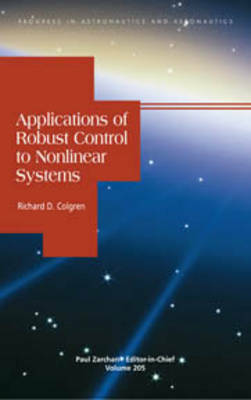 This book offers a three-step approach to generating a robust nonlinear controller: modeling, synthesis and robustness analysis. The publication is targeted to practicing engineers and graduate-level students working in guidance, information command and control systems, and CAD/CAM. The methods covered in this book allow the user to design and analyze nonlinear controllers for nonlinear systems with several important and unique characteristics: the ability to specify the closed loop system's frequency response via requirements on the sensitivity (S) and complementary sensitivity (T), the ability to directly minimize an undesirable resonance or peak in the frequency response while simultaneously closing all loops from the input to the output vector in essentially one single design step, and the ability to analyze the stability characteristics for multiple independent and dependent problem variables. The approach uniquely allows the user to achieve stable and robust performance for systems which are both unstable and contain discontinuous nonlinearities using adaptive nonlinear controllers.